The views of parents about our school our very important to us. As a result, each year, we undertake a parental self evaluation questionnaire. The slide shows below give the results of these questionnaires. The latest parental self evaluation (December 2016) was based on 101 questionnaire returns. Overall, the response was very positive. Two areas that we will be looking into are homework and information we provide on the progress of children. We fully value the opinions of all members of our community. 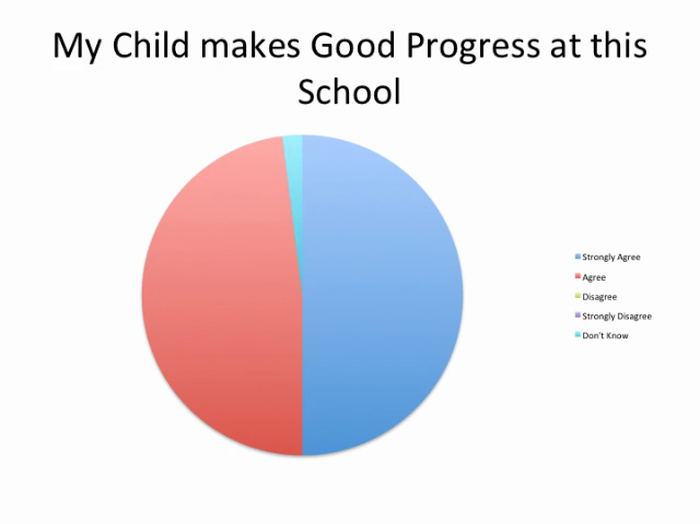 As part of this process, we regularly survey parents to see what their opinions of the school are. 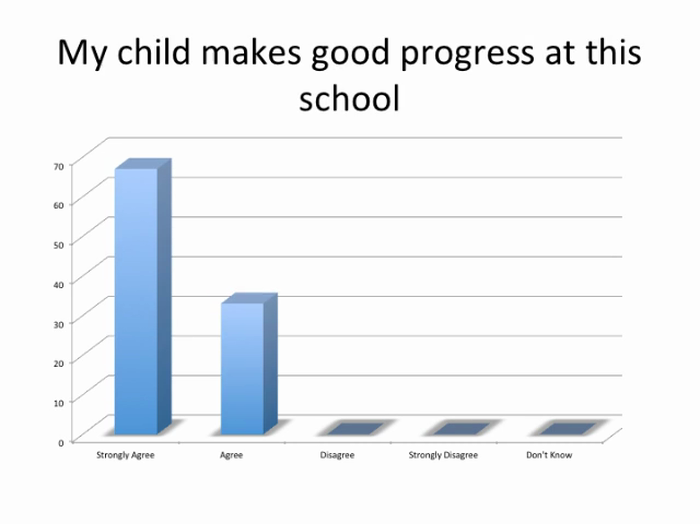 Click on the film above to look at the results from our last survey sent out to parents.